The superfruit Camu-Camu is nature's best source of vitamin C. It also delivers powerful phytochemicals like beta-carotene, potassium, calcium and protein, serine, thiamin, leucine and valine. Click here to read an incredible report on Camu-Camu published by The Health Ranger Mike Adams at www.NaturalNews.com. Our Camu-Camu is wild-harvested from the river corridors of the Amazon rain forest in Peru. What benefits are provided by Raw, Wild-Crafted Camu-Camu? Tremendous source of Vitamin C, with 50 times more Vitamin C than an orange. Strengthens immune system to hold off colds and flus. Supports optimal function of nervous system including eye and brain functions. Provides arthritic protection by helping reduce inflammation. How do I use Raw, Wild-Crafted Camu-Camu? It can be easily added to your superfood smoothie, baked goods or sprinkled on cereal. The serving size is just 1/2 teaspoon and each container provides 30 servings. Camu-Camu is a low-growing shrub found throughout the Amazon rain forests of Peru and Brazil. It produces a lemon sized, light orange to purplish red fruit with yellow pulp. Camu-Camu is packed with more natural vitamin C than any other food source recorded on the planet. Is all Camu-Camu the same? No. 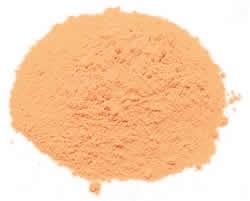 There are wide variances in the quality of Camu-Camu. You might find Camu-Camu at a lower price, but it's likely a product of inferior quality. Many are diluted with cheap fillers. Our product contains only one ingredient: raw, wild-crafted Camu-Camu. Our Camu-Camu is wild-harvested. It is independently tested to ensure the complete absence of any pesticides, fertilizers, heavy metals or sulfites. Keep in a cool, dry place. Protect from light. Information on this site is for educational purposes only. Statements about product efficacy have not been evaluated by the Food & Drug Administration. These products are not intended to diagnose, treat, cure, or prevent any disease. In matters related to your health, contact a qualified healthcare practitioner. If you are pregnant or nursing, you should consult a health care practitioner before using this or any nutritional product. © Copyright 20165 Good Cause Wellness. All Rights Reserved.